Happy 96th Birthday, Doris Day! 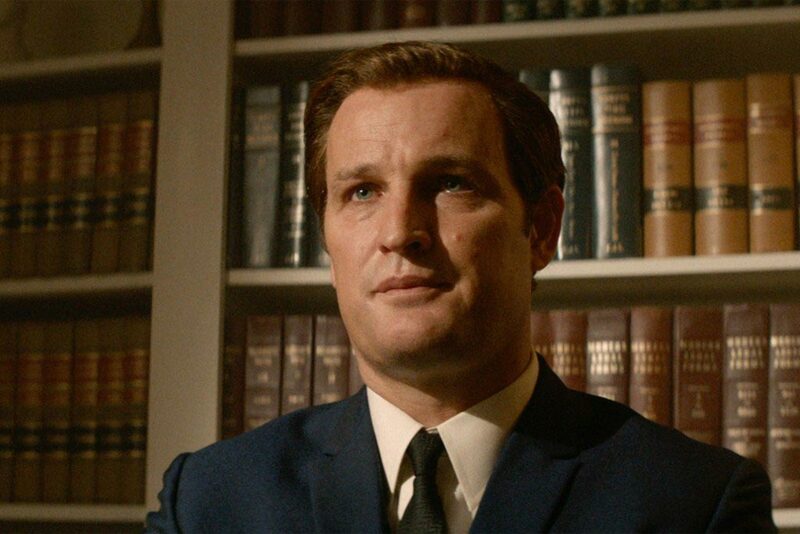 CHAPPAQUIDDICK (2017) is a thoughtful and engrossing close-up look at the role of Senator Ted Kennedy (Jason Clarke) in the death of Mary Jo Kopechne (Kate Mara) in the summer of 1969. 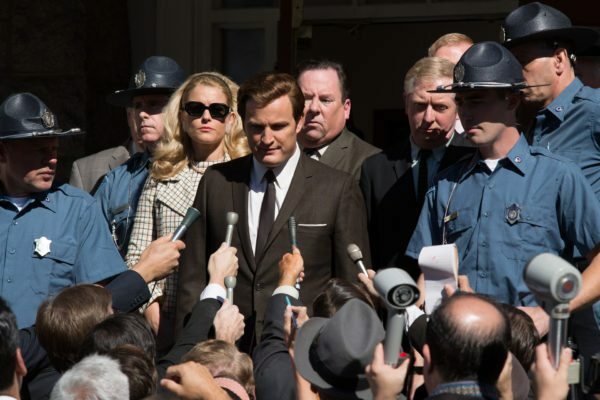 While the facts about Kennedy's behavior in the hours following his driving off a bridge and into a channel have long been known, the film is nonetheless a long-overdue, serious public reckoning. From today's vantage point it's hard to understand how a man whose choices were very likely directly responsible for a woman's death was able to go on to a successful political career -- it's especially difficult to imagine in this day of 24/7 news and social media -- but such was the power then of the Kennedy mystique. Voters were all too willing to brush the event away as one more in a long line of "Kennedy tragedies" rather than taking a more clear-eyed look at the specific facts and what they said about the man's character. Beyond that aspect, the film is not focused directly on politics; instead it covers issues regarding family, character (or lack thereof), and enablers surrounding the handling of the young woman's untimely death. I believe the movie's sober, well-acted drama will be appreciated by filmgoers regardless of where they may fall on the political spectrum. It's an interesting, worthwhile, and thought-provoking film. The story is, of course, well known to many, but younger viewers, in particular, may be unfamiliar with the events. 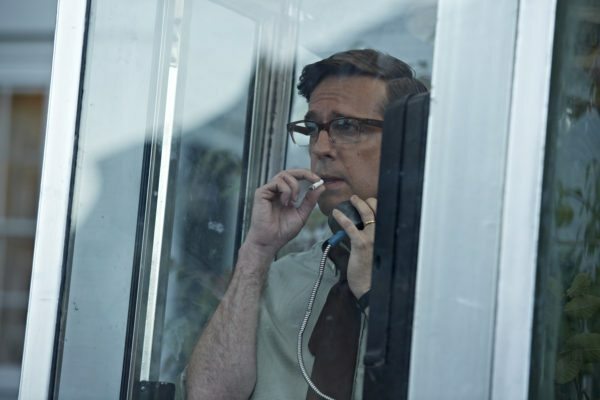 The film begins on July 18, 1969, as Kennedy, his first cousin Joe Gargan (Ed Helms), attorney Paul Markham (Jim Gaffigan), and several women who had worked on Bobby Kennedy's campaign, collectively known as the "Boiler Room Girls," gathered to party on Chappaquiddick Island, Massachusetts. (No, Ted's pregnant wife Joan, played by Andria Blackman, was not present.) Late in the evening Kennedy and one of the "girls," Mary Jo Kopechne, left the party, and Kennedy drove off a bridge, with the car ending up upside-down in a relatively shallow body of water. Kennedy managed to escape but made no effort to quickly summon emergency help, other than to go back and tell Gargan and Markham what had happened. The two men made ineffectual attempts to rescue Kopechne and then left the scene, assured by Kennedy he would call the police. He didn't. Instead Kennedy went to his Edgartown hotel, where the next morning Gargan and Markham confronted him for not calling the police, but he still held off reporting the incident until finally going to the station at 10:00 a.m. During the previous hours, was he letting the effects of alcohol wear off? Hoping he could find a way to shift blame? Or, as he claimed, in a sort of shock? None of us were there; the movie presents what's known, and viewers can decide for themselves. The Kennedy "machine" went into crisis mode to protect Ted's career, led by Robert McNamara (a very effective Clancy Brown). Kennedy received a suspended sentence for leaving the scene of an accident. Months later an inquest found evidence which suggested Kennedy's negligent driving had been responsible for the accident; more importantly, it was likely Kopechne was alive for a considerable time and could have been rescued if help had been obtained promptly. However, Kennedy was not charged with manslaughter. Viewers should be forewarned that scenes showing the juxtaposition of Mary Jo's fight for life with Ted Kennedy aimlessly wandering about, trying to sleep at his hotel, and going to breakfast are disturbing; I spent those moments looking at my shoes, and I'm not embarrassed to say that at one point I covered my ears as well. It was simply too difficult to take in. That said, I understand that the filmmakers wanted to be very clear about what it's believed she went through, based on inquest documents. The "spin machine" scenes planning Ted's post-accident media campaign are fascinating -- some things haven't changed at all in the last 50 years, even if media coverage now moves almost at the speed of light. Bruce Dern is remarkably effective in these moments in an essentially wordless performance as Joe Kennedy Sr. In the last months of his life and infirm due to a stroke, he still struck fear in the heart of his youngest son. Clarke is excellent in the lead role, with his mannerisms at times eerily reminiscent of the real man. Clarke and the script present Kennedy as a tragic loser living in the shadow of his dead brothers, unable to command his father's unconditional love and perhaps unhappy -- though skilled -- in public life. Helms is also quite good as the orphaned cousin who was raised among the Kennedys but is stunned by Ted's behavior. I'd love to know if a moment where Ted tries to pin the blame for not calling police on Joe was based in fact as it was a jaw-dropper. The real Joe Gargan passed away last December 17th, 2017. 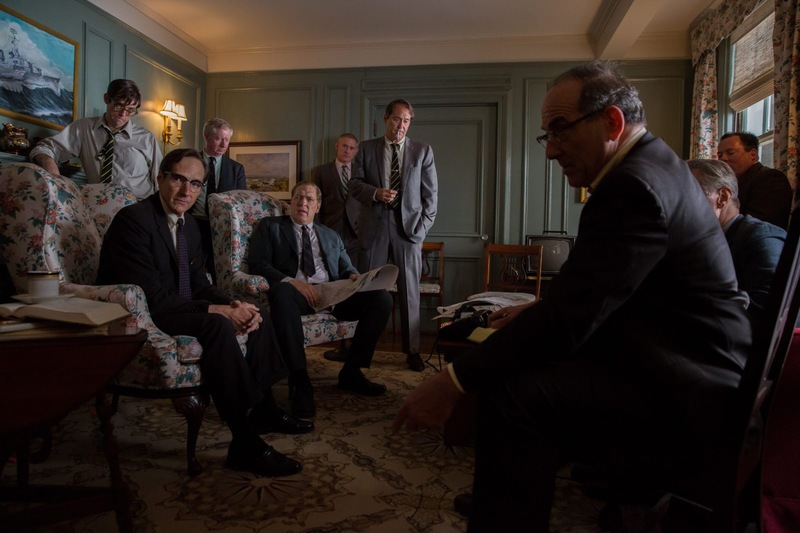 Incidentally, Robert McNamara also turned up as a character in the recent film THE POST (2017), set two years later; in that film he was played by Bruce Greenwood. 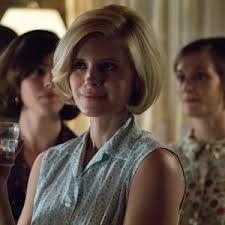 Mara is more of a placeholder as Mary Jo Kopechne; with the accident occurring early in the film, little is revealed about her character. It must have been a tough role to play as filming some of the scenes could not have been pleasant. Thoughts from other reviewers: Leonard Maltin writes that the filmmakers "didn’t want to make a film about a scandal: they were more interested in crafting a character study, and they have succeeded with flying colors." Owen Gleiberman of Variety calls it "riveting" and says the film "doesn’t embellish the incidents it shows us, because it doesn’t have to. It simply delivers the truth of what happened." 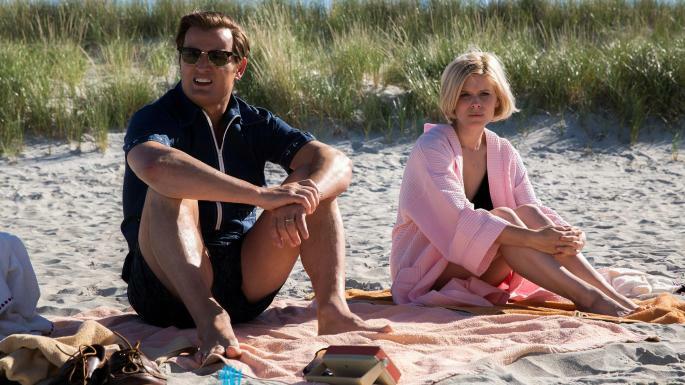 CHAPPAQUIDDICK was directed by John Curran and filmed by Maryse Alberti. It runs a well-paced 101 minutes. Parental Advisory: This film is rated PG-13. I would not recommend it for children due to the disturbing drowning sequences. There is also a relatively small amount of coarse language. 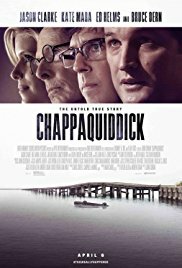 CHAPPAQUIDDICK was another film seen with my MoviePass, which continues to work very well for me. I've had no technical problems, and it's certainly a bargain at $9.95 a month for up to one movie per day. If only there were even more new movies out worth seeing! I was a kid when these events occurred, but I was never able to look at Ted Kennedy without thinking about it. You are right about it being long past due for an examination. I well remember the tragedy and the disbelief at what had been done. I also could never view Ted Kennedy thereafter without remembering Chappaquiddick Bridge. Another Laura review that will make me want to look out for this film myself. An awful family beginning with the patriarch who as Ambassador to Great Britain was ready to cave to Nazi Germany. A serial adulterer who set the tone for large and largely disreputable, manipulative family. Teddy was probably the worst and least accomplished but his background was brutal. His three older brothers, Joe Jr., jack and Bobby, all died violently. Tough to live with that and Teddy showed he did not have good stuff in him. As negative as I am about this monstrous group, I voted for President Kennedy, the only Democrat I've ever supported, and for all his shortcoming, I would do it again. There was a guy. It kind of fascinates me how everyone knew exactly what Ted Kennedy did, yet he wasn't really called to account for it, either by the court system or the voters. This film both asks and partly answers "How did that happen?!" 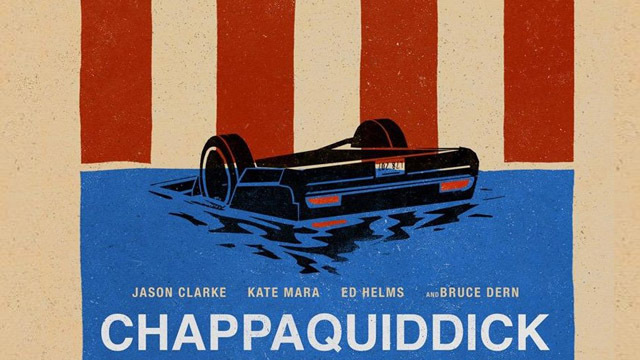 I suspect this film may be opening some eyes, especially among younger voters who knew Kennedy as a senator but weren't old enough to be familiar with Chappaquiddick, other than in sort of a passing way. Someone Tweeted me to say they'd seen it with a young person who had previously had the vague notion that Chappaquiddick involved one of Ted's children...! I'd love to have feedback from you, Jerry, or anyone else who has the chance to see it.